A greyish or brownish freshwater crustacean growing to 21 mm but usually much less . 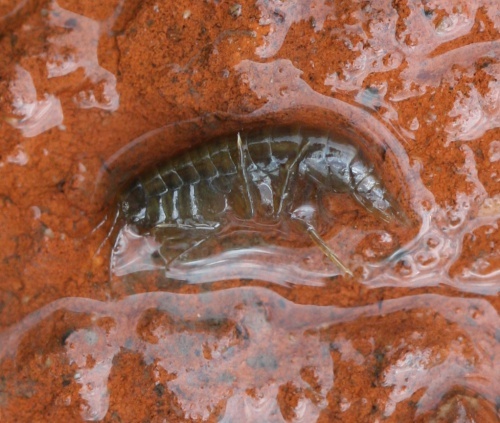 Not a true shrimp, but sometimes referred to as the Freshwater Shrimp or River Shrimp. Freshwater. 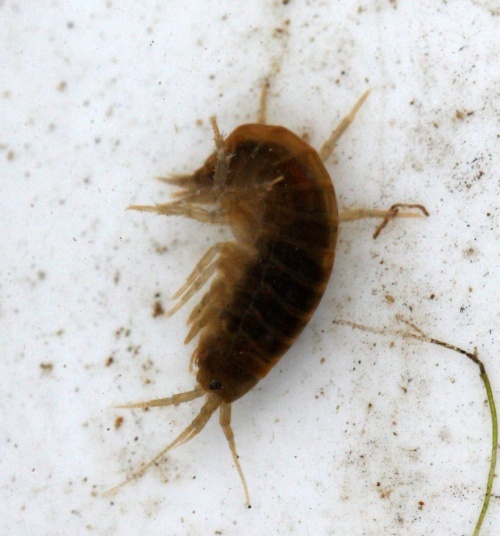 They prefer flowing water but have also been found in ponds.